Even before I moved to the Westside, I had begun my journey through the infamous street of Sawtelle, an area also known as Little Osaka. Every block has a ramen shop and each one has something unique to offer. Just when I thought Sawtelle had enough ramen shops, they opened another one! A Daikokuya opened up several months ago and I finally got around to checking it out. 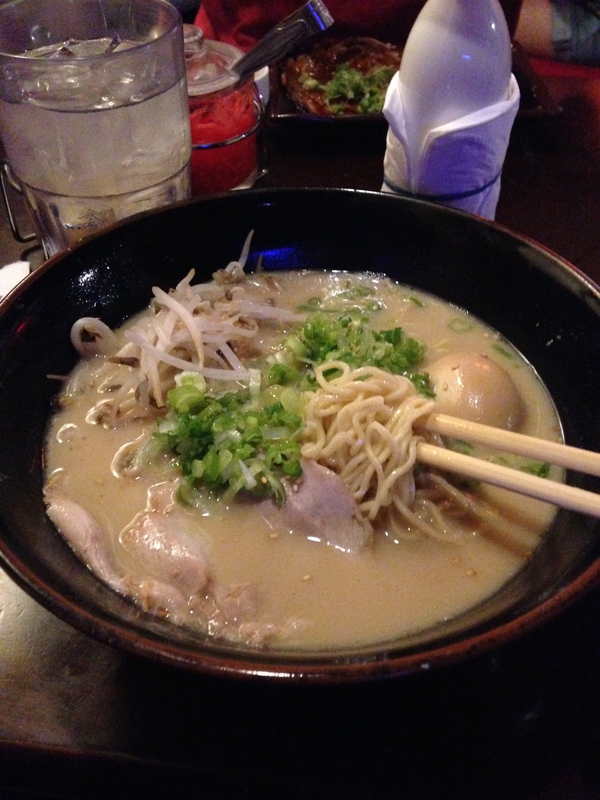 The first time I heard about this thing called ramen, (the legit kind, not the packaged kind that we all grew up with) was at the popular Daikokuya in Little Tokyo, in Downtown Los Angeles. I’m sure that Westside ramen enthusiasts were thrilled to hear that they no longer need to make a trek to dark side of LA. 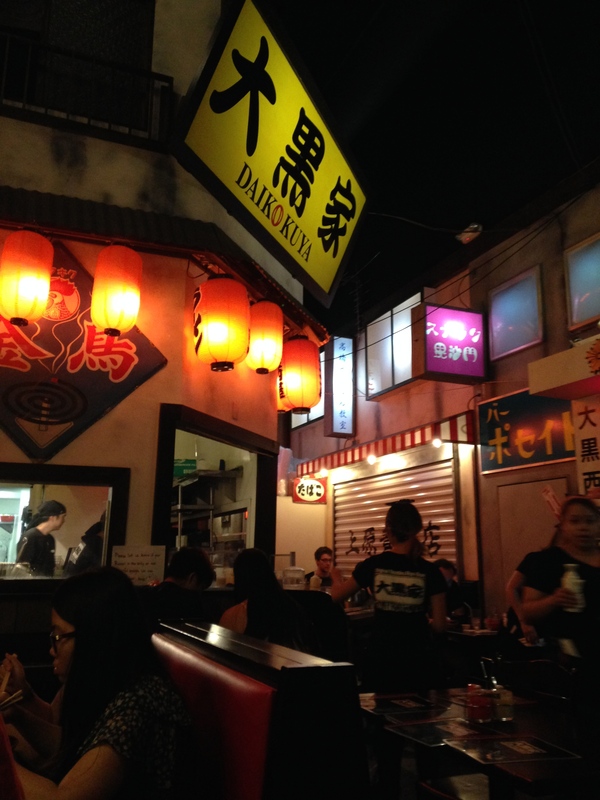 I went to Daikokuya on a Friday night with friends, Alejandro and Sejo, both ramen newbs. There was, of course, a long line like any Daikokuya, and the wait was roughly 45 minutes. But our server took our orders almost as soon as we were seated. I really liked the decor because it seriously looked like an alley way with all the street lamps, signs and fake windows. We ordered the Daikoku ramen with some sake. I have to say that the ramen here is just as good as the one in Little Tokyo. Noodles were al dente the way I like it, the broth was flavorful and not too oily, chashu was tender and the egg was yummy. The service was also very prompt. I know I was not very detailed about the ramen, but I think at this point, we know what to expect from Daikokuya! It always satisfies. My newb friends enjoyed it as well! I’ve been to practically every ramen joint on Sawtelle and Daikokuya is definitely in my top 3. There is a free parking structure a few doors down from Daikokuya. 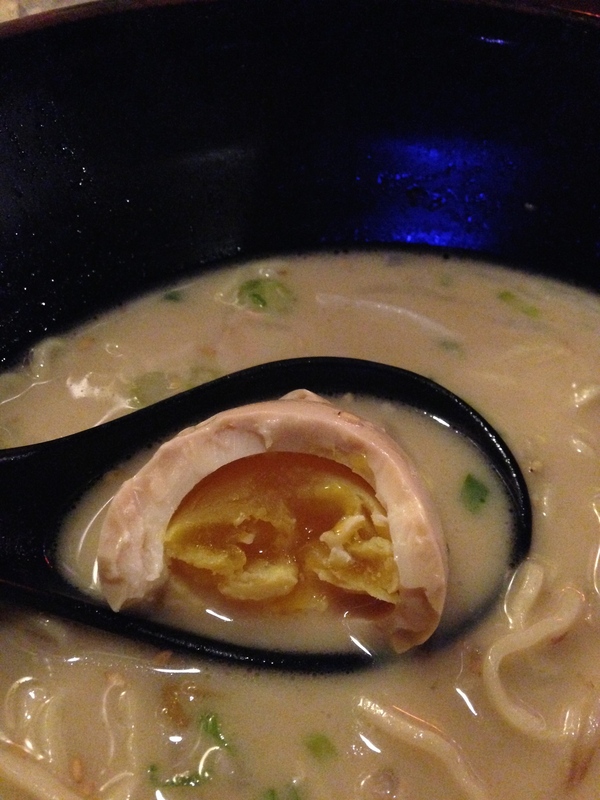 This entry was posted in Daikokuya, Food, Little Osaka, Ramen, Ramen Run, Restaurant Review, Sawtelle. Bookmark the permalink.